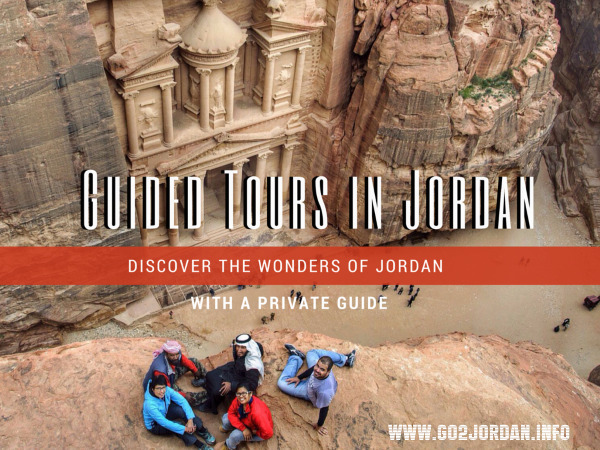 Getting around in Aqaba is easy. There is no dial-up service, so unless you know the mobile number of a certain driver, you can only cacth taxi on the streets. 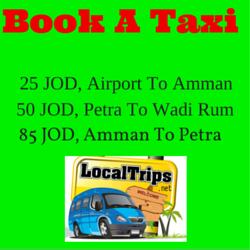 Taxis are pretty cheap in Aqaba and there are many of them so you can usually find one easily within a few minutes. The usual prices inside the city: for short distance 0.75 JD should be enough, but they will most probably charge you 1 JD if they see you are not a local. Longer distances cost 1.50 JD inside the city. To the airport: around 15 JD. From the downtown to the Ferry station (Passenger station): around 5 JD. From the downtown to South Beach: around 6-7 JD. From Eilat border crossing to the downtown: around 15 JD. I recommend you to ask about the price BEFORE you go with them anywhere and feel free to bargain if they ask much more then the prices above. If you can't get to a compromise, do not worry. Just catch another taxi. 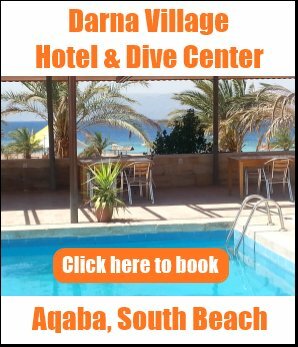 You can also hire a cab for day trips or longer excursions outside Aqaba. Read more about the new look of Aqaba taxis. Another cheap way of getting around in Aqaba is jumping on a public bus. If you are a tourist living in a hotel, you probably do not need to use the local buses. However, it is interesting to see the residential areas of the city. The buses depart from the central bus station in front of the Police Station or behind and above the Princess Salma Park in the downtown. There is no set schedule, the buses leave when they are full. 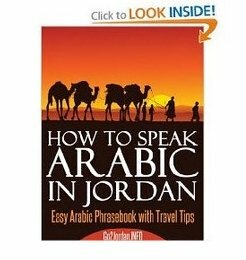 The destination is written on the sides of the bus in a yellow rectangular, but only in Arabic. The route of each bus is roughly fixed, but the drivers tend to go where they expect to pick up more passengers on the way. People can get on and off anywhere they want. After reaching their destination area, the buses turn back and return to the central station. So if you hopped on the wrong bus, do not panic! Sooner or later it will get back to the downtown. Sit back and enjoy the journey! The price for a bus ride is 0.25 JD regardless of the distance. If you are a woman, do not sit next to a man and vice versa: if you are a man, do not sit next to a woman. When you want to get off, knock on the window with a coin. Although I personally hate this, smoking is OK on the bus according to the locals.